Agave Pacifica, scientifically known as, “agave Angustifolia var. Pacifica”, is a succulent, evergreen cactus plant, native to Mexico and Central America. 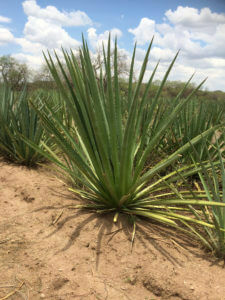 The core of the agave is used to make a regional Mezcal and also used as an ornamental plant. Also known by the names “Caribbean agave“, “agave Angustfolia”, and sometimes even, “Wild agave“. Considered to be medium in size as compared with other agave plants, a typical agave Pacifica plant will be approximately 4 feet tall by 4 feet wide, with a dense rosette that is rounded in it’s outline. The rosette of the agave Pacifica sits on top of a short trunk that is typically 1 to 2 feet tall, and is hidden until the plant blooms. agave Pacifica leaves are usually around 2 feet long that are stiff, and narrow – typically 2 to 4 inches in width. The leaves are concave towards the middle and have a broad central band that is pale green, with creamy white margins that sometimes have some pink coloration. A healthy agave plant in Sonora will begin producing “baby” agaves, or rhizomes, when it reaches the age of approximately 4 years. 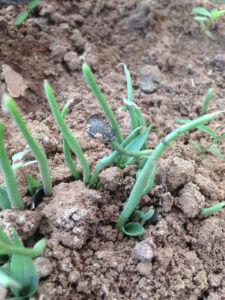 These baby agaves are usually hearty enough to be transplanted directly in open fields once cultivated. In contrast, agave plants started from seeds require at least two years of protected care in shady greenhouse environments before being planted in open fields. The ideal time to plant agave is prior to the rainy season, which is usually July and August of each year. To ensure the survivability of seed stock, irrigation is required until they are fully rooted. In the life cycle of the plant, at approximately year five, agave plants generate a single bloom which grows from the center of the plant and eventually sprouts into various branches. It can reach heights of approximately 7-12 feet. The bloom is where seeds are propagated for the next generation of agave plants. A single bloom generates on average 30,000 seeds. The seeds are all black or black and tan in color and similar in shape to watermelon seeds but much thinner. Current plant management methodologies do not allow all plants to bloom except in select agaves. In many instances the bloom is removed when it reaches 6-12 inches in length. Once the bloom is removed, the plant internalizes its energy supply growing larger and creating a higher sugar content which would otherwise be channeled to seed production. The agave Pacifica plant is a green to medium green color with hues of blue. It has numerous sword like leaves with spikes protruding every few inches. These leaves are from three to four inches wide at the base and taper at the top where each leaf ends in a sharp pointed needle at each tip. Some of these fibrous leaves can reach a length of 24-60 inches. Despite having theses protective mechanisms, young agave is vulnerable to wild desert animals including deer, jackrabbits, and Javelina pigs. Usually, the agave plants are not eaten by wildlife unless there are extreme drought conditions and there are no other available sources of water or vegetation. On occasion, growers place dishes of water in agave fields in hopes that agave plants are not eaten by thirsty desert wildlife. If you can’t beat them, provide for them is the thinking. At maturity, piñas weigh on average between 20-40 kilos or approximately 44-88 lbs. Under current production techniques it takes approximately 22 lbs. 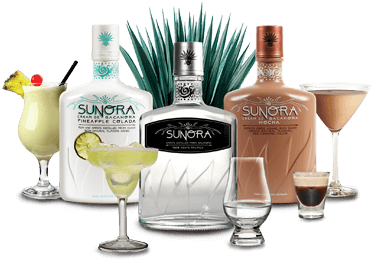 of agave to make one liter of bacanora.